Create a modern outdoor oasis that will entice you to relax and enjoy the outdoors with the Apartmento Outdoor Sectional Sofa in canvas (white). 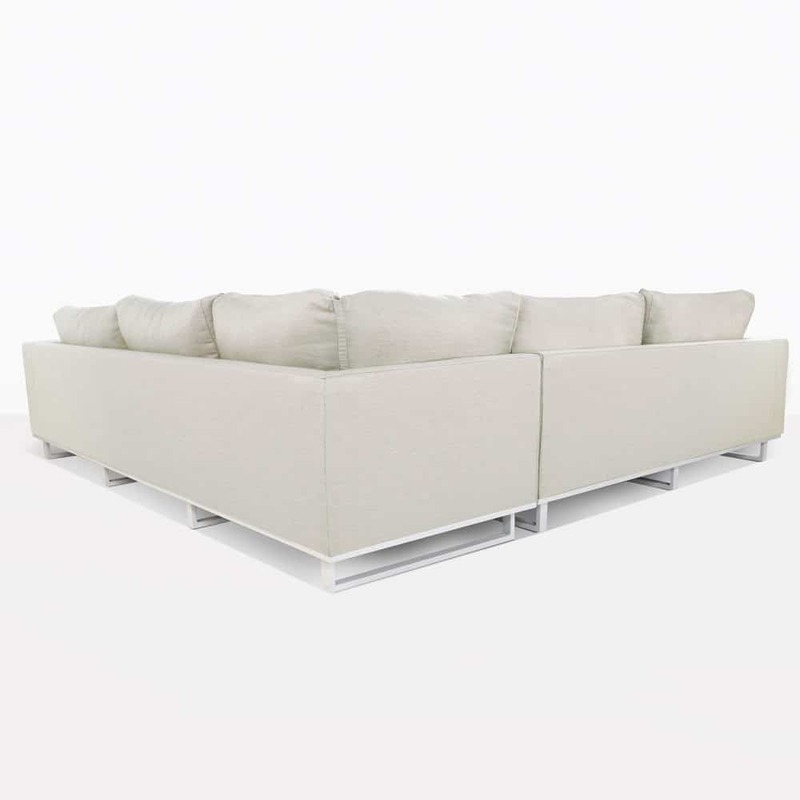 This modular sofa is designed with a 3-seater sofa and left arm 2-seater. Place them together and you have the popular “l-shape” that is very functional and desirable. It’s finely crafted with a powder-coated aluminum frame and Sunbrella® fabric with thick cushioning. This makes it lightweight and easy to arrange in your outdoor space. Add a few lounge chairs, ottomans, accent tables, and you will have a wonderful space to gather with family and friends. The Apartmento Outdoor Sofa with white frame and canvas cushions is a bright and airy way to freshen your space. It will go beautifully with a modern, craftsman’s style or classic outdoor living space. 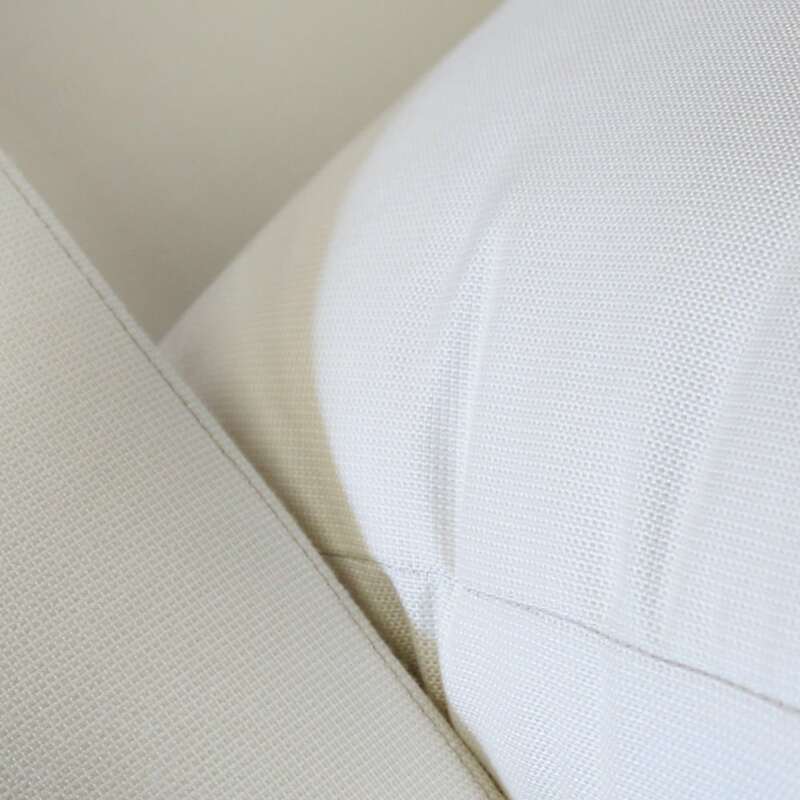 The cushions are included in the price as shown and everything from Design Warehouse always comes fully assembled. 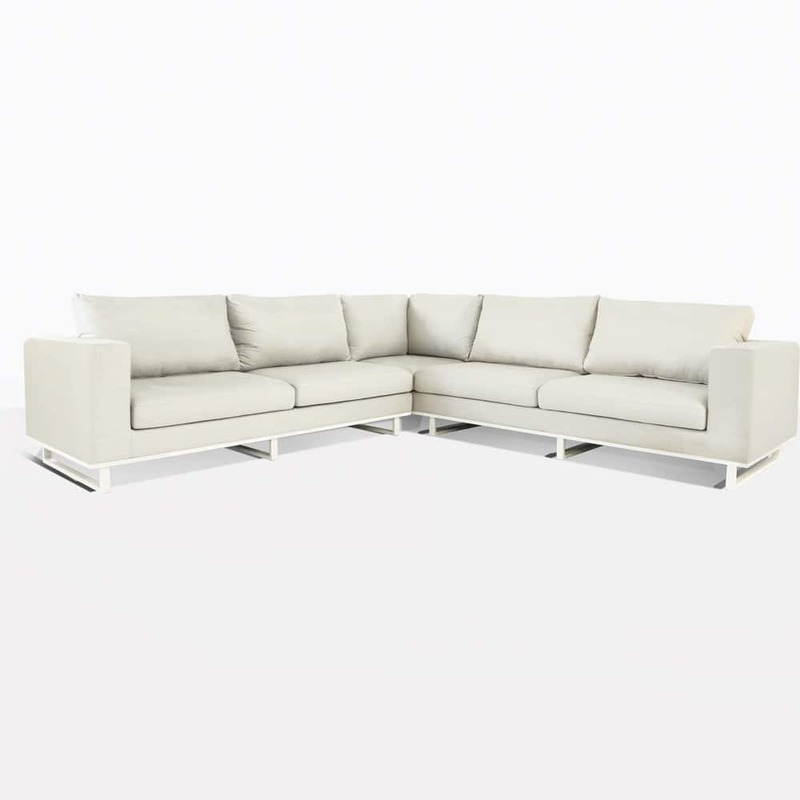 This deep seating collection is available for pick up or delivery. Visit our showroom today to start planning your space. We are open daily and personally answer the phones.